Sotheby’s, Christie’s and Phillips raised $19,297,765 in photography auction sales in New York and London in the first 6 months of 2017. The result represents an increase of 21.9% from the second half of 2016 and was the highest total since the first half of 2015. 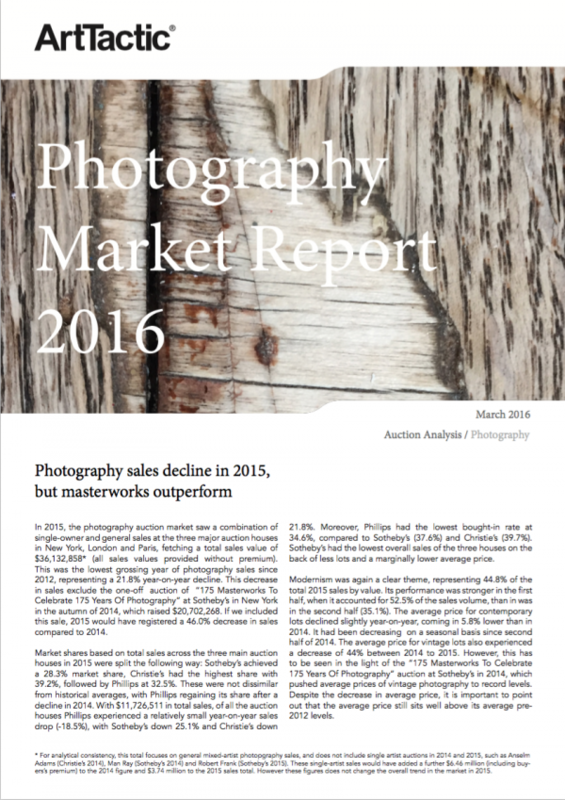 The recent photography auctions provide further evidence of a broad global art market recovery, also in the lower price segments of the art market. 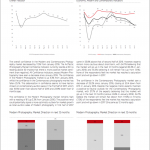 Despite a deterioration in photography market confidence in January 2017, the majority of experts are positive-to-neutral about the market in the coming 12 months. Phillips maintained the largest market share for the third time in a row. 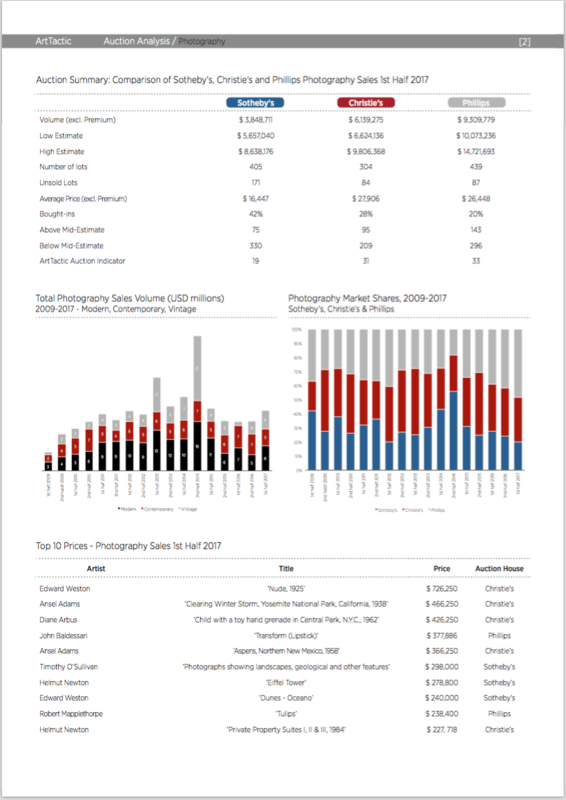 With an auction sales total of $9,309,779, they accounted for 48.2% of the total sales value, furthering their lead by 6.4%. This result also signals a significant increase in season-on-season sales by Phillips (up by 40.6% from six months ago). 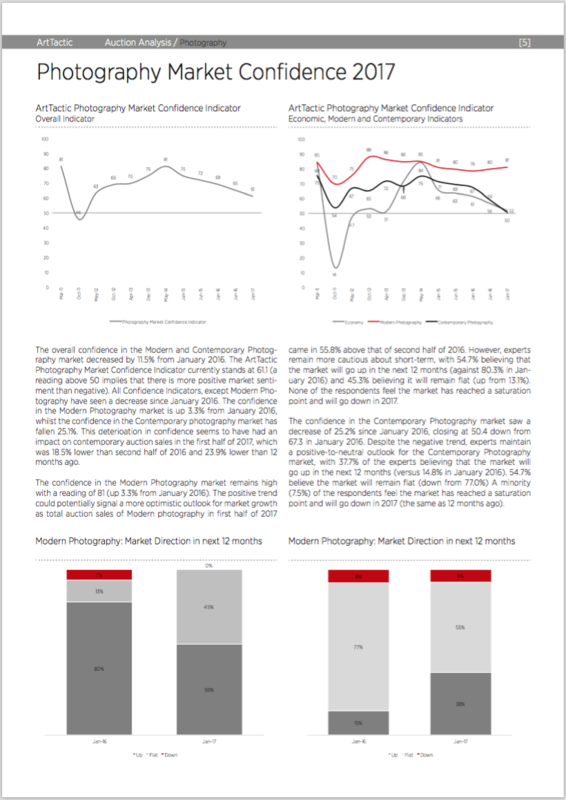 The Auction Indicators for all the three houses improved signficantly from the last season, which could signal that demand is picking up as pre-sale estimates are falling inline with buyers’ expectations. 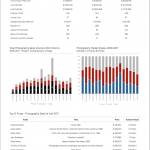 Modern photography raised $8,018,546 in the first half of 2017, with a market share of 41.6%. This segment was particularly present at Christie’s, where it represented 51.1% of the sales. 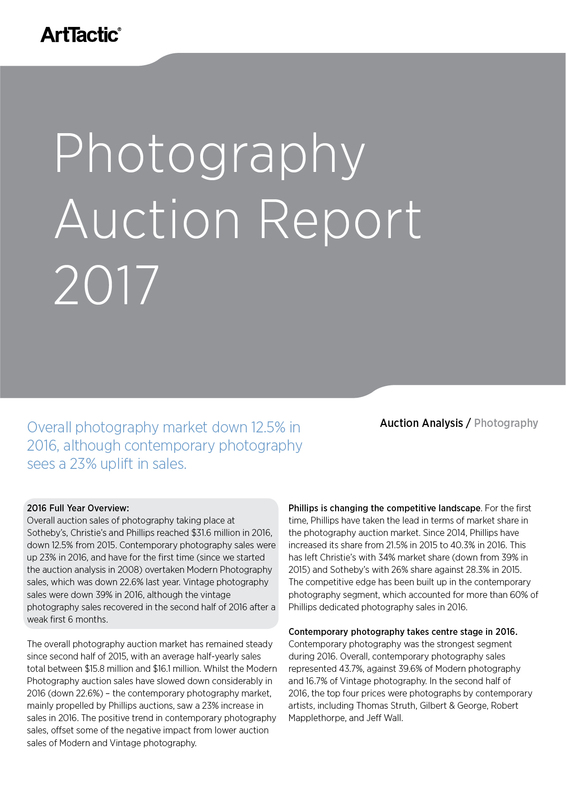 The strong performance of the Modern photography sector was reflected in the Top 10 prices, where modern lots contributed six of the top 10 lots. 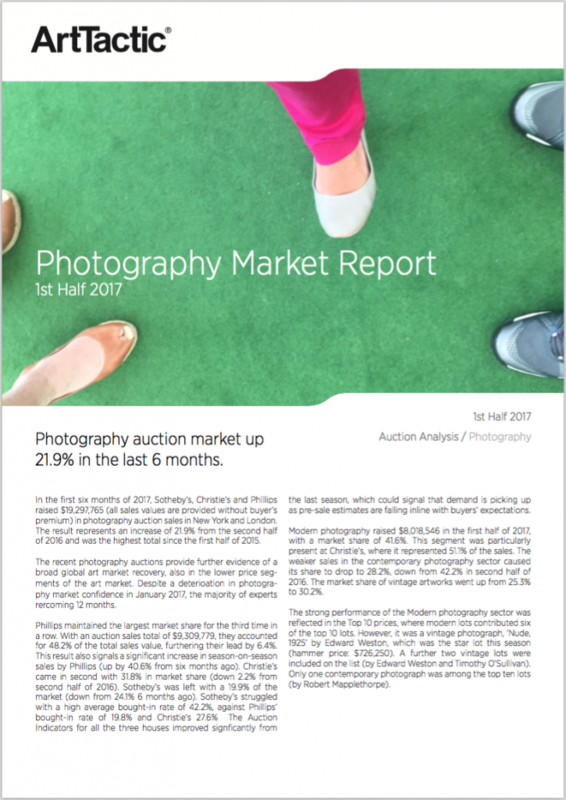 Photography auction market up 21.9% in the first 6 months of 2017, signalling a broader global art market recovery, also for the lower price segments.